I‘ve been exposed to many types of security systems from building custom homes for discerning clients during the past 35 years and I’ve designed and installed a multitude of security systems, safes and safe rooms into the walls and floors of dwellings. Most of my clients have wanted various types of security devices and personal protection installations for their homes and businesses and these installations have varied from common electronic security systems; to complete closed-circuit television (CCTV) systems; to safe rooms that protect the homeowners from home invasions as well as from natural disasters; to concealed safes that guard personal possessions. From my years of experience, I’ve acquired the hands-on knowledge of how to install security installations so that they are undetectable to thieves and assailants. We’ve all heard of robberies and assaults taking place right under the noses of security guards in gated compounds. There was a luxurious home recently robbed in the same neighborhood as the president of the country, that has private guards to protect the areas around the president’s home. The thieves, who carried guns and ski masks, outsmarted a complex security system that included surveillance cameras, electronic sensors, walls and guards on motorcycles. It’s been said, that when professional thieves select a target, they will get what they want, one way or another. So, when searching for true security, we must consider a combination of installations as well as constant vigilance in order to protect life and property. 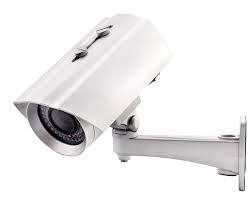 Let’s begin by reviewing some exterior security system options. The best advice that I’ve gotten from professionals who are paid to guard diplomats and executives, is that dependable security systems should begin outside, with exterior deterrent installations. Most folks don’t like the appearance of barbed wire fences or large concrete walls with razor wire or electrified cables or metal spikes. However, according to the professionals, these types of installations are very effective deterrents against would be thieves and delinquents who are considering to commit home robberies and assaults. the exteriors of dwellings are not pretty and are meant to be seen by potential thieves and assailants before they enter a property. Exterior fencing or walls with razor wire are the first deterrents to thwart potential assailant’s attempts to enter a property. Razor wire can be installed around a properties perimeter by attaching it to recessed metal pins mounted in concrete walls or onto metal fencing. 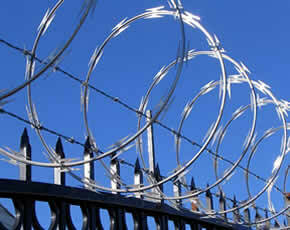 The razor wire is the first deterrent. Additional installations of electrified cables that shock anyone who comes in contact with them offer a second level of prevention. This type of electronic security system consists of vertical square tubing attached to roof edges or on top of perimeter walls or fencing and then electrified metal cables run from tube to tube through electronic sensors that maintain a level of voltage through the fencing that will shock anyone who comes into contact with it and will trigger the alarm in the main control panel. I’ve installe d both types of these installations around various residences and have connected the exterior electrified system to the interior alarm system and that not only triggers audible sirens and flashing lights, but it can also be programmed to call any telephone number that the owner designates in the event of an exterior intrusion. Another form of exterior security is photoelectric detectors that can be installed around the perimeter of properties to alert the owners if something or someone crosses the path of the sensors. However, these devices are easily triggered by animals or falling tree branches, so they are usually more bothersome than dependable. 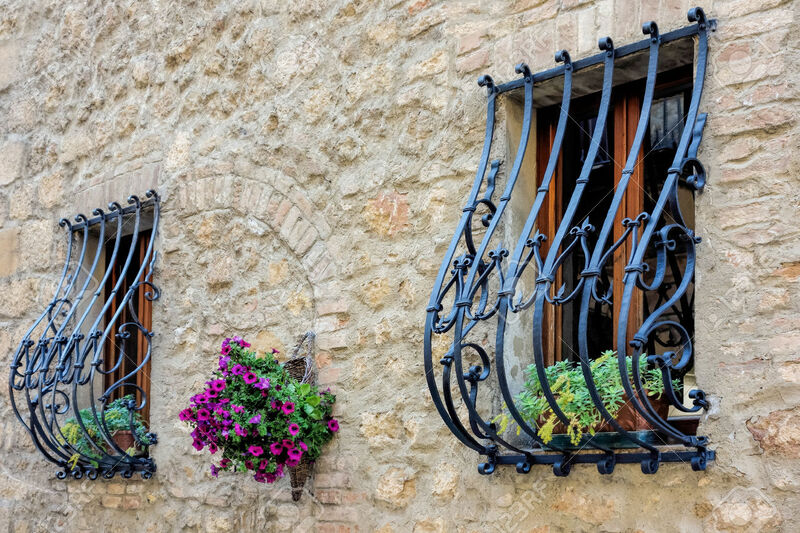 Here in Costa Ric a, security bars are attached to most dwellings windows and doors. These bars are not only unsightly, but they are difficult to open in case of fire. Additionally, they make it difficult for firefighters to enter the dwellings and extinguish the fires. 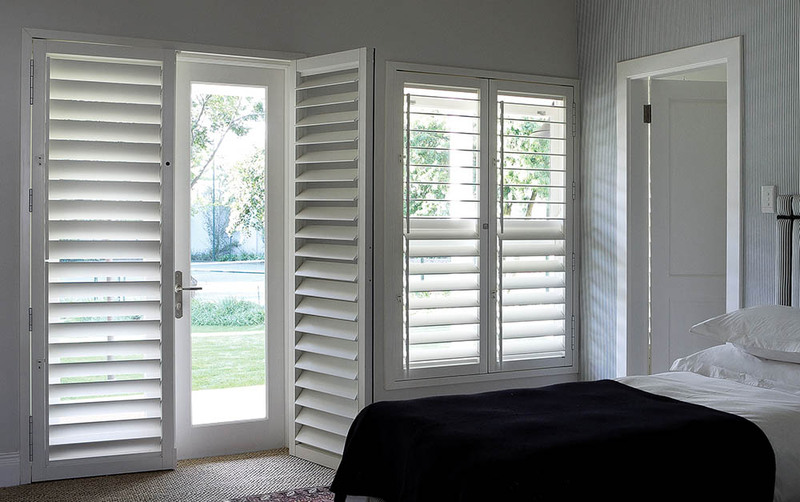 Another option is to install security shutters that offer protection while being able to get raised and lowered through a turning mechanism on the inside of the house. These security shutters stop the robbers from coming into your home, while giving you the option to leave in case of fire. Since every dwelling needs an exterior point of access, consideration must be given to the entrance gate and/or door from the street into the property. Large metal gates can prevent assailants from entering, but eventually, they need to be opened for the owners to enter and exit. This is when carefully planned assaults take place and all the security installations in the world won’t do you any good if you are confronted by assailants while entering or exiting your property. 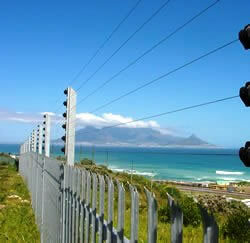 This is where CCTV systems utilizing electronic surveillance cameras and monitoring equipment come into play. If cameras are conceale d in locations that allow the owners to see what or who are near the entrances to their properties, secure entering and exiting can be accomplished. The types of small cameras inside doorbells and intercom systems that are sold at local hardware stores do not provide real surveillance that you can depend on. Dependable exterior security and surveillance installations require specific types of electronic cables, installed inside subterranean conduit pipes from the main dwelling and then inside the exterior walls of properties in order to function efficiently and provide true security. Now let’s take a look at security systems that monitor dwellings from the interior. There are many manufacturers of these devices and they are all pretty much installed the same. When I custom build homes, I pre-wire cables for electronic security systems inside walls and ceilings along with the normal electrical cables and plumbing pipes. Cables are installed from a main control panel enclosure, containing transformers and battery back-up devices and alarm modules, usually in a concealed location inside a closet or attic, with cables installed through ceilings and walls to programmable keypads which are located in conveniently accessible locations throughout a dwelling. Electric cables are run to all windows where glass break detectors are installed and to door openings where hardwire contacts are installed, as well as in ceilings to where motion detectors will be located. These types of security installations trigger sirens and strobe lights, when doors and windows are opened or broken into. 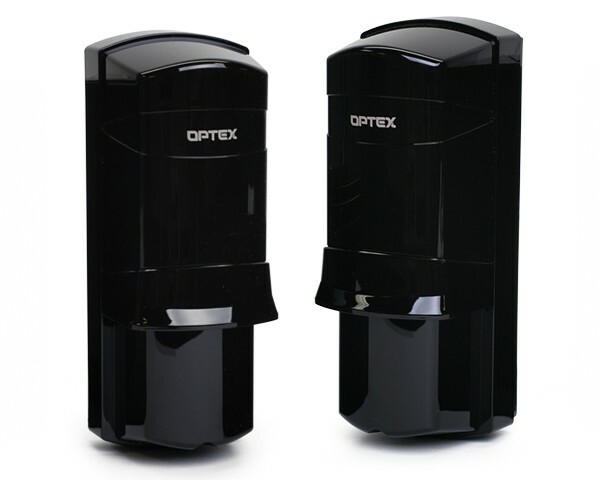 Additionally, the motion sensors detect movement inside dwellings and sound the alarm when someone or something crosses the path of the sensor. The control panel can also accommodate dialers that can be programmed to call whatever telephone number the owner designates when the alarm is activated. In many cases, a relative or neighbor can be called when the owner is away and then that person can check on the property and/or notify the appropriate authorities. It’s a good idea to install a wireless receiver remote control device that will allow your neighbor to control your alarm system when you’re away. With the advent of newer security installations, people who desire additional methods of protection have more options than ever before. Fire alarm systems can be integrated into interior security systems. Heat detectors and smoke detectors will trigger fire sirens and strobe lights as well as notify the fire department in the event of fire. An additio nal method of security to protect the interior of dwellings is a unique fog generation system that quickly fills a dwelling with dense fog and obscures everything from view so that thieves and assailants cannot steel much or do harm. In addition to fire alarms, carbon monoxide detectors also called CO detectors can be integrated into interior security systems. These life saving devices are logical additions to interior security systems. Remember that interior security devices only begin to work once your dwelling has been penetrated by assailants. The professional security experts recommend to begin protecting dwellings from the exterior perimeter, before the assailants enter, so that the owners have sufficient notice to seek help and/or secure shelter to avoid personal assaults. Some folks have budgets that permit the design and construction of interior safe rooms and if the owners of a dwelling have sufficient notice of a natural disaster or assault, they will enter their safe room and be protected. I have built safe rooms using thick, solid concrete walls, floors and ceilings with steel reinforcement, as in bank vaults. Additionally, I have built safe rooms utilizing steel stud construction with metal lath sheets, welded to the steel supports. Through the exterior walls of the safe rooms, I installed concealed tubes with cables that lead outside to hidden cellular antennas and telephone connections in order to communicate with the authorities. Custom made wall or floor safes can be recessed and concealed so that thieves cannot locate them. I have cut openings in concrete as well as steel stud walls and welded custom made metal safes to the steel rebar and steel studs inside the walls. I utilized flush doors with interior hinges and recessed locks that were then painted to match the color of the walls, thereby concealing the safes from sight. In one installation, I installed a photoelectric detector to the door of the safe, so that if someone passes in front of the safe or the door is opened without bypassing this alarm zone, the siren and strobe light are triggered. Unless security installations are custom designed and installed, thieves and assailants will be able to determine the point of entry for the communication devices before the owners even know they are a target. Additionally, common store bought safes sitting in closets or cabinets are easily located by thieves and if the owners were not notified in advance by an exterior security system, the thieves will force them to open the safe. Common security systems marketed by companies such as ADT, etc. are run of the mill, cookie cutter installations that any common thief understands and knows how to penetrate. These companies are selling piece of mind with their monitoring services that supposedly respond quickly to home invasions. Unfortunately, the assailants are familiar with the response time of these security companies and are able to take what they want before any security officials arrive. If you’re serious about acquiring true security for yourself, your family and your personal possessions, you need to look beyond the common security systems and monitoring services provided by the large companies that market piece of mind but do not provide real security protection. Creativity and psychology must be taken into consideration when selecting the right system for your home. Do not rely solely on one method, try to stagger them for optimal results. The writer, Tom Rosenberger has traveled throughout Costa Rica since 1993, inspecting land, homes, condominiums and commercial buildings for people who want to purchase existing property or build new construction. If you would like to contact Tom you can send him a message by clicking here.